Harrison Ford has signed some special items for a new charity auction in Canada. 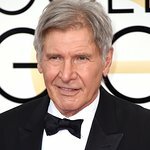 The 66-year-old star of Indiana Jones has given bidders the rare opportunity to make an offer on autographed items to raise funds for Earthwise Gardens’ Eco Tours, an initiative that promotes environmental awareness through public education and community involvement in the town of Tsawwassen, British Columbia. “We have an autographed poster from the current Indiana Jones movie [Indiana Jones and the Kingdom of the Crystal Skull] and an autographed Raiders of the Lost Ark DVD on their way from L.A.,” said Ana Arciniega, executive director of the Tsawwassen Business Improvement Association executive director. And the opportunity really is very rare indeed. He is a very private person and not easily reached, but a local movie director with Hollywood connections helped arrange the coup. “Harrison Ford likes to support conservation projects and Earthwise Gardens’ Eco Tours is a grass roots program, so it was a perfect fit,” said Arciniega. The Earthwise program is a hands-on environmental education program for school aged children in the areas of habitat and water conservation, pollution prevention and climate change, whose mission is to cultivate sustainable communities through environmental education and stewardship. The auction is due to start this weekend, and more information will come available at www.shoptsawwassen.